It was over 150 years ago when an Irish immigrant named Timothy McCarthy began a lumber business in Ann Arbor, Michigan, building farmhouses and barns. The company he founded in 1864 is now a multi-billion dollar construction firm and one of the largest and most diversified commercial construction companies in America. 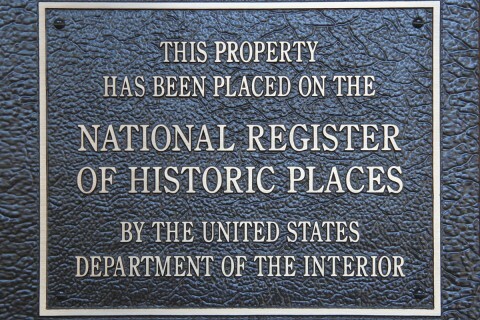 For 138 years, we were primarily a family owned business. 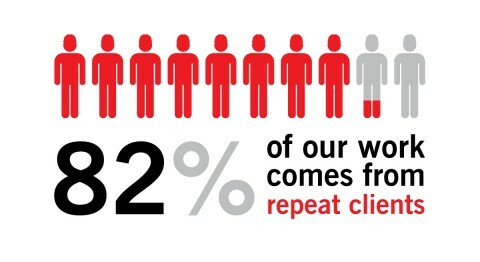 That changed in 2002 when the company became 100% employee owned. Each of us now has a personal — and financial — stake in the company's future, and each of us now has a greater responsibility to each other to innovate and provide real value. The net result? An empowering environment that is entrepreneurial in nature, and is directed towards providing our clients with creative and value-oriented building solutions. Timothy McCarthy builds a new family home in Ann Arbor, Mich., after the family’s log cabin burned. The home still stands today. John W. McCarthy, eldest son of Timothy, falls in love with Hannah Bently and follows her to Farmington, Missouri, where the two are married. 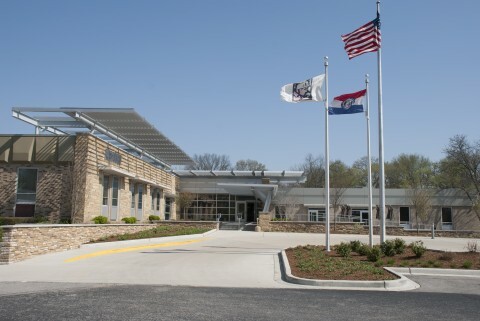 John W. McCarthy helps construct the State Hospital Number 4 administration building in Farmington, Missouri, becoming McCarthy's first recorded healthcare project. Modern Healthcare Magazine ranked McCarthy the largest healthcare general contractor in America in 2013. St. Louis hosts the World's Fair, sparking a construction boom that lasts until World War I.
John W. McCarthy and his brothers, Timothy Jr. and Charles, incorporate their new business, McCarthy Construction Company. The Scott County Courthouse in Benton, Missouri, is completed. 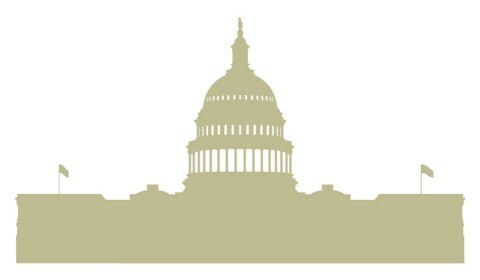 Today, many government agencies rely on McCarthy for high quality construction at the best final cost. The Missouri Building at the Panama-Pacific International Exposition in San Francisco is completed and becomes McCarthy’s first California project. 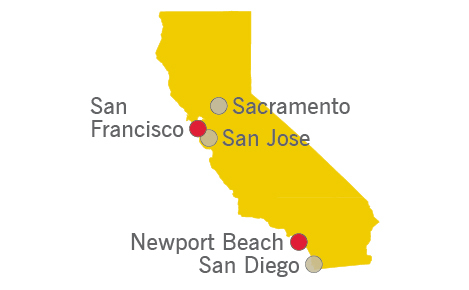 McCarthy has a major presence in California today with offices in San Francisco, Sacramento, San Jose, Newport Beach and San Diego. 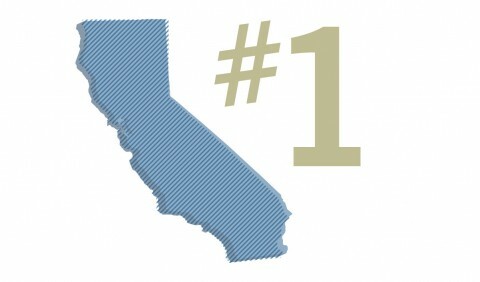 In 2013, McCarthy was ranked the largest builder in California for the second year in a row by Engineering-News Record Magazine. 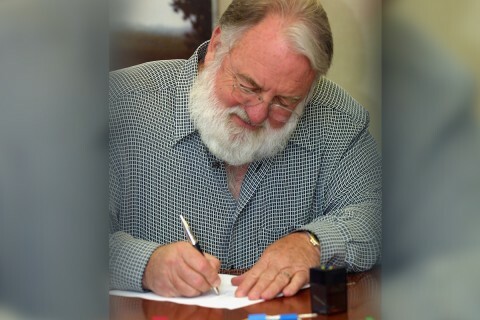 John E. McCarthy, son of Mr. Tim, becomes president of the company. McCarthy begins building a three-quarter mile section of floodwall along St. Louis’ northern riverfront, the first of several floodwall contracts awarded to the company. 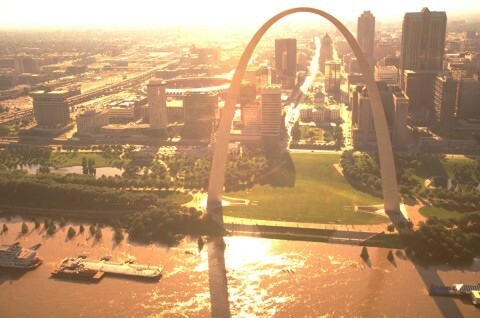 In the flood of 1993, these floodwalls helped protect downtown St. Louis. Barnes Hospital in St. Louis selects McCarthy to construct its Queeny Tower, a 17-story ambulatory care center that goes on to finish ahead of schedule. 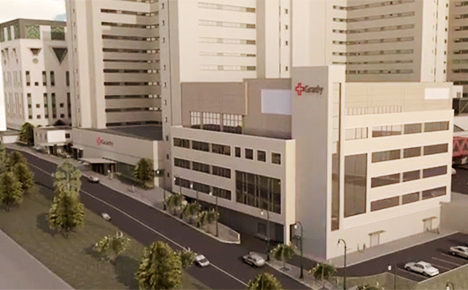 Healthcare clients turn to McCarthy again and again to tackle the toughest construction challenges — like Grady Hospital, which is counting on McCarthy to build its new Emergency Department on its busy campus in Atlanta. McCarthy buys two acres of land near Rock Hill Quarries and moves the company headquarters to 1341 North Rock Hill Road in suburban St. Louis. Mike McCarthy becomes the new chief operating officer of the company. In 2002, Mike McCarthy sells his shares of the company to employees, making McCarthy one of the nation’s oldest, 100 percent employee-owned construction firms with majority ownership via an employee stock ownership plan (ESOP). St. Joseph Mercy Hospital in Mason City, Iowa, awards McCarthy the company’s first design-build project while St. Joseph Medical Center in Wichita, Kansas, awards the company its first construction management job. Project delivery options continue to expand, providing improved outcomes for owners. 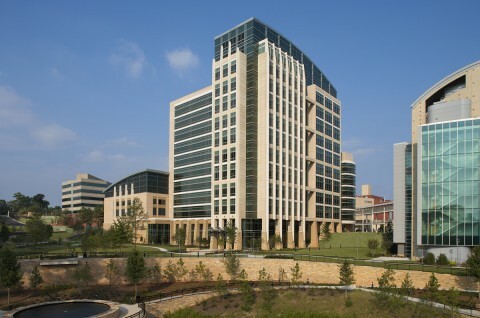 McCarthy completes more than $10 billion in work on design-build projects. The University Hospital in Augusta, Georgia becomes McCarthy’s first hospital project in the Southeast. McCarthy purchases TGK Constructors and opens a Phoenix office and Gerry Murphy (pictured) becomes president. 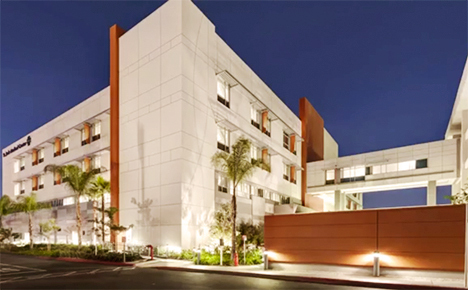 Sutter General Hospital in Sacramento, California becomes McCarthy’s first modern-day project in California. 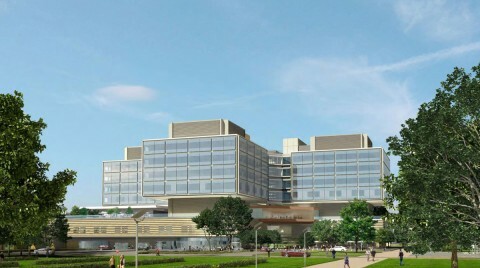 Stanford University Medical Center hires McCarthy to build its new technologically-advanced 812,000-sf replacement hospital. McBro has more than 275 employees working in 32 different states and begins opening additional offices around the country. 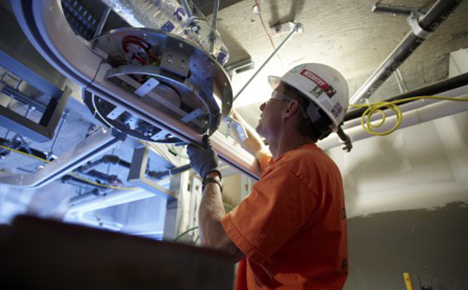 For the first time, McCarthy is ranked the #1 Hospital Construction Manager in U.S. The twin tower design of the Bayview Bridge at Quincy, Illinois was McCarthy’s first cable stayed bridge project. Roger Burnet becomes the company’s first president without the last name McCarthy. McCarthy reaches more than one billion dollars in sales. Construction begins on Dartmouth-Hitchcock Medical Center, McCarthy’s largest contract to date. 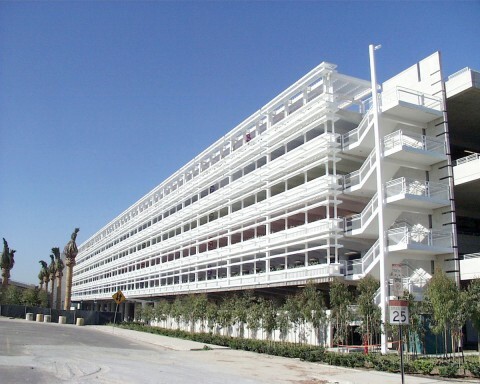 Construction of the 1,387,000-sf, 620-room Phoenician Resort in Scottsdale, Arizona is completed. Construction of the Clark Bridge, spanning the Mississippi River between Alton, Illinois and St. Louis, is featured on NOVA. McCarthy’s Pacific Division opens an office in Sacramento and soon after wins a bid to build the Sacramento Convention Center. McCarthy establishes Total Quality Management program. McCarthy again leads the industry in construction quality and creates the “Quality Without Question” Program. Mike Hurst becomes the new president and chief operating officer. McCarthy’s Las Vegas office opens. McCarthy Brothers Company changes its name to McCarthy Building Companies, Inc., reflecting ownership by its employees. Mike Bolen becomes the first CEO in the company’s history without the last name McCarthy. On September 11, America is forever altered as the war on terror comes to American soil. 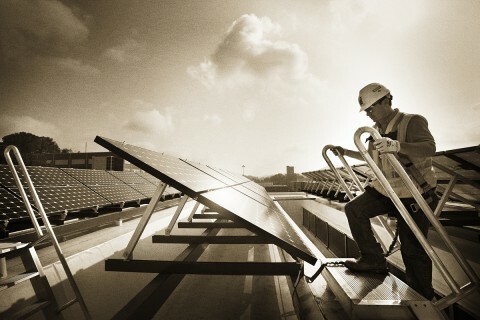 McCarthy completes the unique net-zero Sonoma State University Environmental Technology Center in Rohnert Park, California. 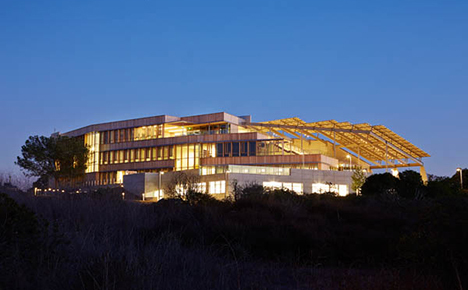 McCarthy completes the only “net zero energy” biological laboratory in the world for J. Craig Venter in La Jolla, California. McCarthy completes the Sandia Casino, just one of several casino complexes built for Native American tribes. Mike McCarthy sells his majority interest in the company to McCarthy employees, making the company 100 percent employee owned. 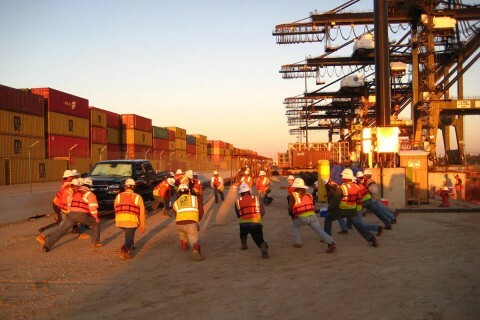 In 2012, the company celebrates 10 years of becoming 100 percent employee owned. Donald Danforth Plant Science Center opens in November as a “green” laboratory focused on sustainability and limiting its environmental impact. Construction on Kaiser Permanente’s new flagship Oakland Medical Center in downtown Oakland, California begins. 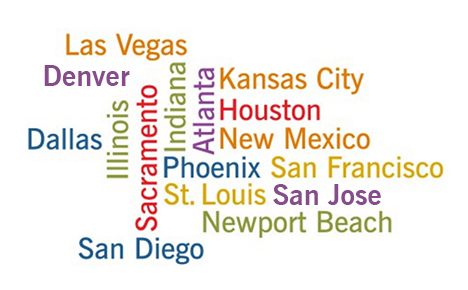 MC Industrial, Inc., an independent McCarthy company, is created to serve industrial clients nationwide. McCarthy launches its Quality Without Question program, making the firm the first commercial construction company in America to have a fully integrated quality culture. McCarthy is recognized as the Safest Large Contractor in the nation by the Associated General Contractors of America. The Lake Pleasant Water Treatment Plant in Phoenix opens, becoming the largest design-build-operate water project in America. The new Banner Gateway Medical Center in Gilbert, Arizona is completed in just 20 months utilizing Building Information Modeling to help expedite construction. 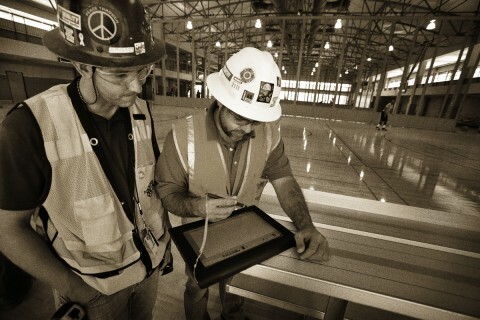 The McCarthy Teamsight™ custom project management system is saving owners time and money on projects nationwide. MC Industrial completes two clinker silos, said to be the largest in the world, for the new Holcim (US) cement plant in Ste. Genevieve County, Missouri. McCarthy opens an office in Albuquerque, New Mexico. The NADEV printing plant becomes the first industrial facility in California to achieve LEED Silver Certification from the United States Green Building Council. McCarthy is the largest builder in America to develop an in-house Green Curriculum approved by the Green Building Certification Institute. McCarthy’s Build for Life health and wellness program is launched. 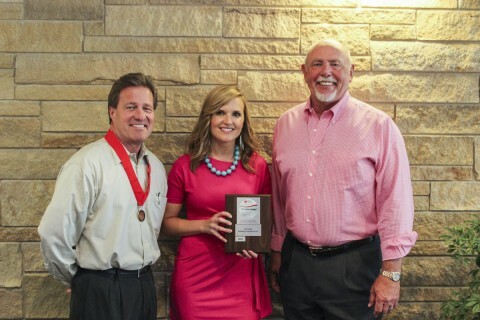 The American Heart Association recognizes McCarthy as a Platinum-Level Fit-Friendly Worksite. The new Rady Children’s Hospital Acute Care Pavilion in San Diego is the first Office of Statewide Health Planning and Development facility to be LEED Certified. 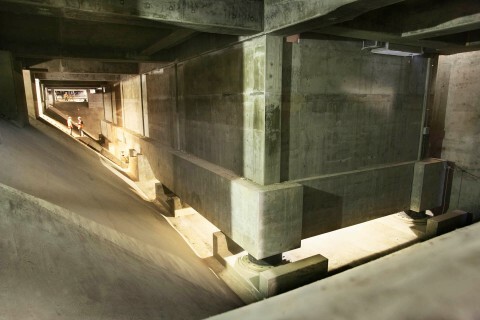 Considered one of the most complex airport construction projects in the U.S., the LAX Tom Bradley Renovation project completes on time and under budget while the airport remained fully operational. McCarthy leads the industry to put practical technology tools into the hands of builders in the field with the first introduction of a jobsite BIM kiosk. 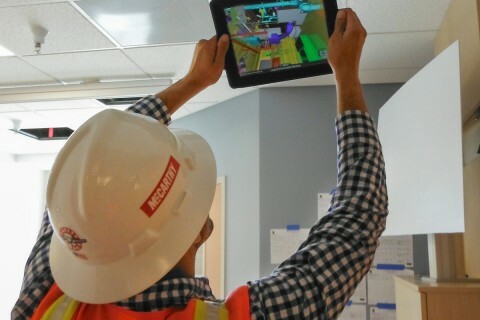 Augmented reality is no longer science fiction with its implementation on McCarthy jobsites, bringing real value to on-site staff, partners and owners. McCarthy opens an office in Collinsville, Illinois. 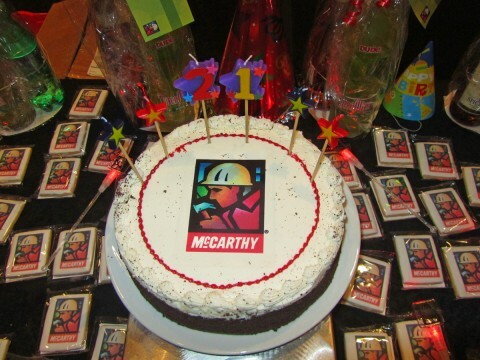 McCarthy celebrates 10 years of becoming 100 percent employee-owned. MC Industrial works around the clock, utilizing more than 8,000 craftsman, working together to complete the BP Whiting Refinery Modernization Project – Gas Oil Hydrotreater (GOHT) in Whiting, Indiana. McCarthy opens an office in Kansas City, Kansas. McCarthy opens an office in San Jose, to serve Silicon Valley clients in the Peninsula and South Bay. McCarthy finalizes the acquisition of Castle Contracting along with its subsidiary CastleGPS. McCarthy opens full-service office in Denver. 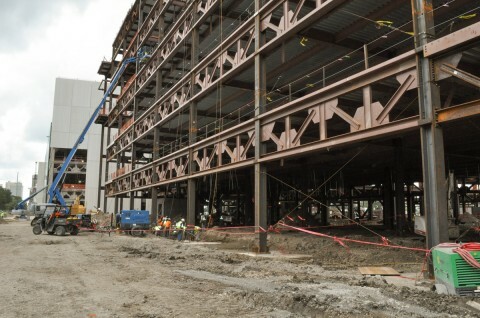 New Stanford Hospital tops off marking a significant milestone in the steel erection phase for the future 824,000-square-foot world-class medical center in Palo Alto, Calif. Ground is formally broken on the final and largest phase of the National Bio and Agro-Defense Facility in Manhattan, Kan., to advance research, diagnostic testing and validation, countermeasure development and diagnostic training for high-consequence livestock diseases. 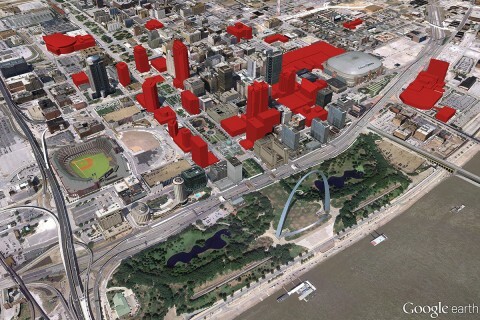 McCarthy begins working around an iconic landmark as construction begins on the renovation and expansion of the Gateway Arch Visitor Center and Museum. McCarthy becomes the only construction company to be inducted into the Training magazine’s ‘Training Top 10 Hall of Fame’ for the company’s world-class approach to training and development.